LET’S GO GOLD FOR SEPTEMBER! 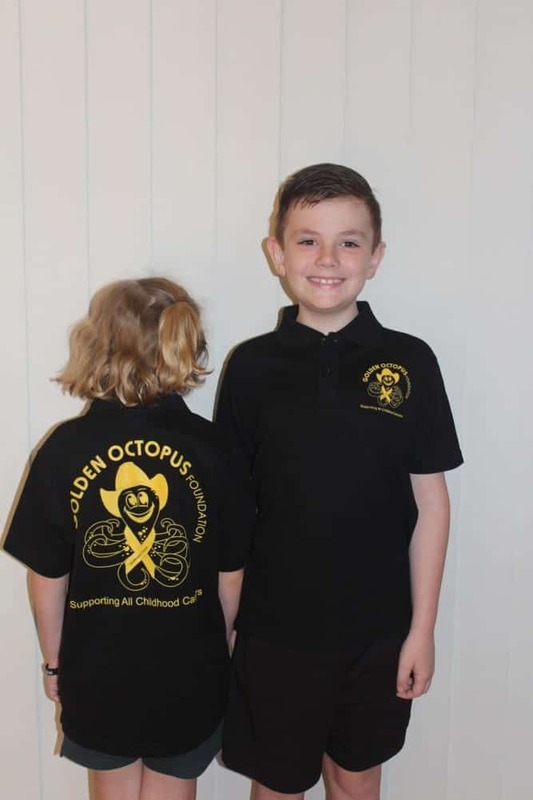 The Golden Octopus Foundation Supporter Shirt - Adult Black Show your support and don a golden shirt emblazened with our adorable mascot Ollee. Show your support and don a golden shirt emblazened with our adorable mascot Ollee. Support our foundation and raise awareness for childhood cancer while looking stylish in the black edition of our popular supporter shirts. Made of lightweight fabric, these "cool" shirts are sure to turn some heads. All proceeds from purchases go directly to The Golden Octopus Foundation and help benefit families living with childhood cancer.